The Early Years Foundation Stage Framework is a collection of standards set out by the UK government for organisations involved in learning, development and care of children from birth to age five. You can read the framework document here (as a PDF file). 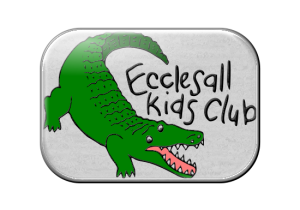 Ecclesall Kids Club is committed to delivering the Early Years Foundation Stage (EYFS) as set out in the requirements for out of schools settings in the Statutory Framework for the Early Years Foundation Stage (revised framework April 2017.) EYFS applies to all the clubs children from birth through to the end of their reception year. More information about EYFS is available from the Department for Education’s or GOV.UK website. Ensuring all new EYFS children and parents complete an “All About Me Form” to enable us to quickly understand the child’s likes and dislikes to enable them to settle into our club and feel supported in doing so. Assigning a key person/s for each Reception Class — Polars, Koalas and Pandas who will drop the children off after breakfast club or pick the children up for after school club each day, to support relationship building and an understanding of each child’s needs. Ensuring that the relationship between each reception class keyworker and teacher is built and information flows accordingly but appropriately. Providing information to each class teacher about which child attends club on each day. Ensuring that staff receive relevant EYFS coaching. Updating the Group Observations Book, so that the parents and the School can see what the Club is doing to support EYFS. Meeting termly with Ecclesall Infants School Early Years Lead Nicole Ramsey to discuss how the next terms curriculum can be interpreted for our play setting following the reception teachers curriculum meeting. This meeting will also enable Nicole Ramsey to share with us any areas the school feel they need our support on in the context of our setting. Meeting termly with the Executive Head of the School Emma Hardy, termly to share good practice with all our children and the aspects of the EYFS that sit outside the learning objectives such as safeguarding and the Welfare of the Child. Plan and provide opportunities through our EYFS topic/s of the term on our notice board. These topics will mirror what is done in school according to the curriculum sheet but the focus will be on translating the curriculum for our play setting and in doing so supporting the school as discussed with them at our termly EYFS meeting. Support parents in understanding what their child enjoys doing in our setting, giving them stimulating activities and crafts so they can show parents what they have done and continue this at home where appropriate. Through our newsletter and website Kids Corner provide some activities that are aimed at our Early Years children, such as colouring, join the dots and make and do activities. Ask our children what they like to eat and do through our child smiley faces surveys. Ensure we have a rich, colourful and vibrant environment, with stimulating toys, arts and crafts to enable our children’s creativity to flourish whilst allowing them quiet corners where they can play on their own if they choose. The Club provides a mix of adult-led and child-initiated activities. The Club will always follow the Playwork Principles, allowing children to choose how they occupy their time, and never forces them to participate in a given activity. A Unique Child: Every child is constantly learning and can be resilient, capable, confident and self assured. We use positive encouragement and praise to motivate the children in our care. Children develop and learn in different ways and at different rates: The EYFS framework covers the education and care of all children in Early Years provision, including children with special educational needs and disabilities. We tailor the experiences we offer the children in our care according to their individual needs.